What Are the Important Skills, Behaviors and Attitudes that Students Need to Become Contributing Global Citizens? My students are taking part in a 3-year Erasmus program. They are finding out and studying their possibilities to influence and act for the global climate change. In my opinion the best part of this program is that students from Germany, UK and Finland meet each other, work together and visit each others’ schools. These possibilities give them enormous chances to become global citizens. 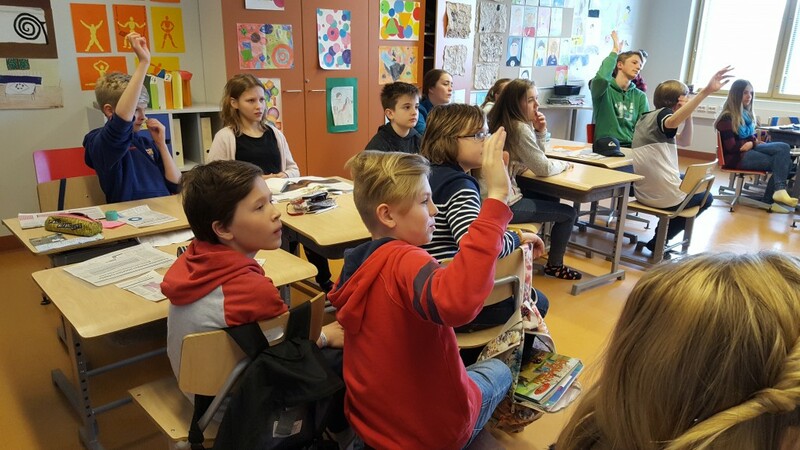 This spring the students met for the first time in Finland in Kartanoranta school. The third weekend in April the students accommodated in Finnish families. And during the week got to know the families’ habits of living. It takes a lot of adapting for a 10-year old to be away from home, tolerate some home sickness and act independently though in safe circumstances. On Monday their first lesson was mathematics. The curriculum for 5th grades includes statistics and that if something they are going to need during the 3-year project. The students introduced themselves before entering the classroom. I divided them in groups consisting all nationalities. I had gathered beforehand a lot of different statistics from different newspapers to each group. “The using of bicycle helmets by provinces in 2014”, “The egg consume 2006-2015”, “Living solo has increased in Finland from the 1990s”, “Divorces in Helsinki in 1971-2010” etc. The challenge for the Finnish students was to explain the contents of the statistics so they had to use their skills in English. The first task in the group was to make a question to each other. The students had no difficulty in setting to work. The Finnish students asked me every now and then the meaning of some words. The atmosphere in the classroom was nice and spontaneous. 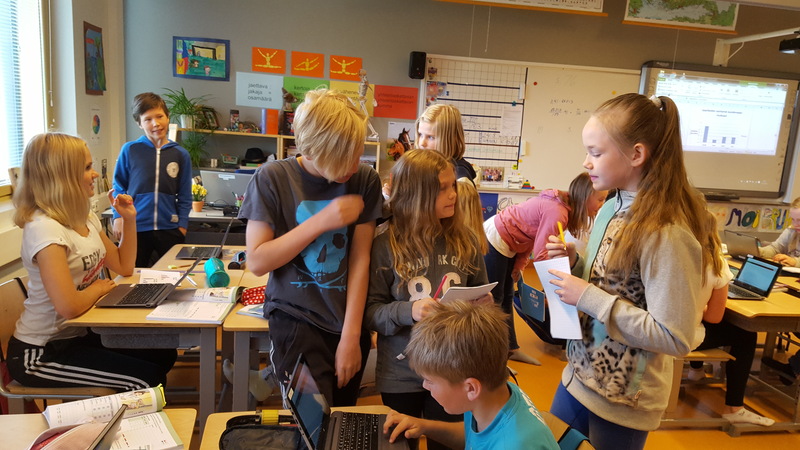 The second task was to choose one of the statistic and make a question of it in front the class both in English and in Finnish. Everyone participated and were holding up their hands and answering. At this point I, by talking to the students, assured the names of the statistic graphs, how important is the figures title and how to mark the axis. The third phase in the task was to make a statistic of their own. The data was collected in the classroom. Only one group member was allowed to collect the data. So they had to share their tasks. They discussed the type of the diagram they would choose, who will collect the information and who will draw the figure. They had to decide the title together, which information comes to the axis and what is the base for the axis. The group topics were: How did you come to school today? How many siblings you have? What’s your favorite color? What eye colors do we have in the classroom? What pets do we have? How many boys and girls? Divide a year in quarters – how does the birthdays set to each quarters? I could almost touch the enthusiasm in the classroom! Some students made their first statistics of something that touched their lives! There was a lot of laughter, medley of languages and still purposeful study at the same time. Finally I got all the statistics to myself. And this had taken only two lessons! This was the first learning experience together. The week was full of different learning situations from visiting the science center Heureka to an excursion in the forest. By the end of the week the departing feelings were sad but at the same time looking forward to the next meeting. Though the students may partly change, lifelong friendships were already born. I have followed many EU projects between schools for almost two decades. The plans build bridges and maintain world peace and at the same time make it possible for the young people to become world citizens. The teachers also need experience in working with other teachers. The task must be meaningful. I was training Chinese teachers in an occasion arranged by FICEA (Finland-China Education Association). The teachers were getting to know the interdisciplinary math. 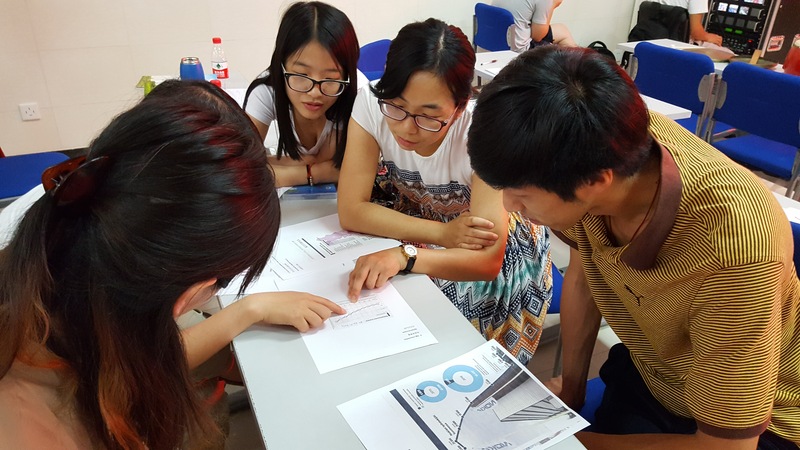 They made the same statistics exercises and learned how to make math interesting, meaningful and fun for the students. How can we teachers and schools get many more students to become acquainted with and to work with students from other countries? I saw my friend’s 10-year old boy give a task to his fellow-players in Minecraft environment. He defines the subject and how long they have time. His ”acquaintances”, children from different parts of the world, fulfill the task and evaluate each others’ achievements. Here is a possibility for qualitative environmental tasks that children from all over world could solve together and become world citizens. http://marketing.pathstomath.com/wp-content/uploads/2013/04/paths_to_math_logo_340x156.png 0 0 Maarit Rossi http://marketing.pathstomath.com/wp-content/uploads/2013/04/paths_to_math_logo_340x156.png Maarit Rossi2016-07-14 06:54:482016-07-14 06:54:48What Are the Important Skills, Behaviors and Attitudes that Students Need to Become Contributing Global Citizens?